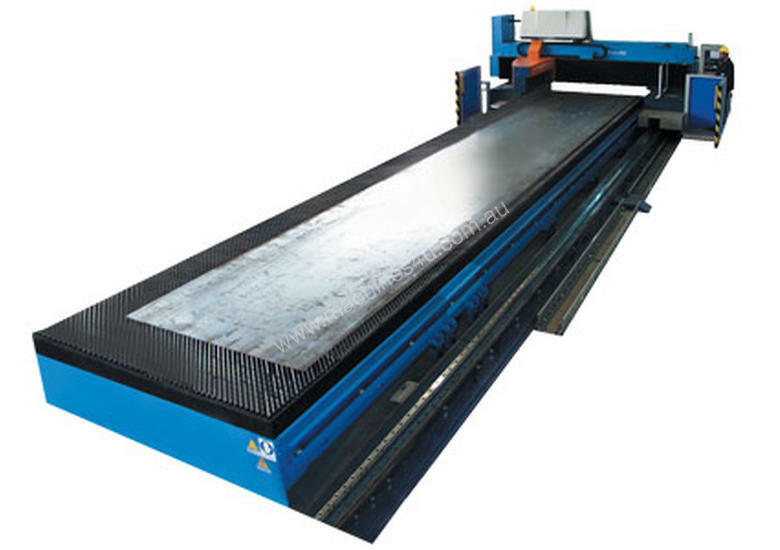 MAXIMO is a large cutting system available in lengths to 48 metres, and with a 3 metre or 4 metres wide cutting width. MAXIMO is an extremely accurate and fast machine combined with a very large work area. 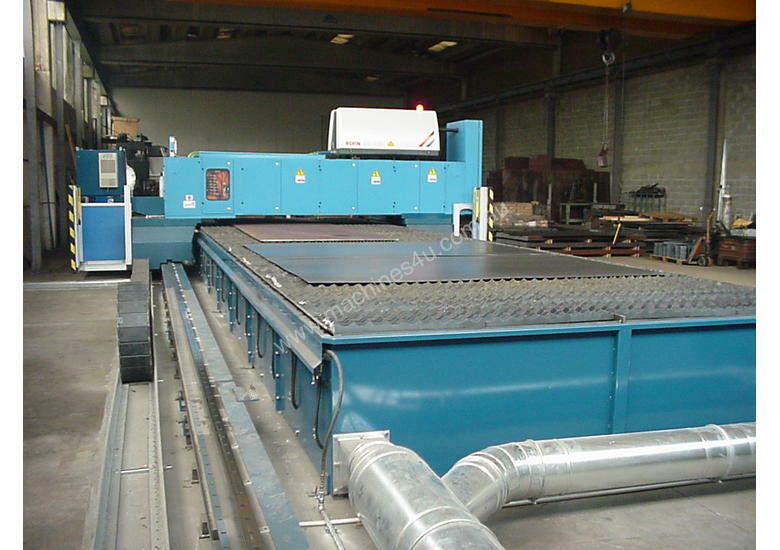 The mechanical structure, laser generator, CNC, moving carriages, optical chain and focusing head - travelling on rails over a fixed working table, processing sheets of any lengths with the only limitation of the space available in the workshop. 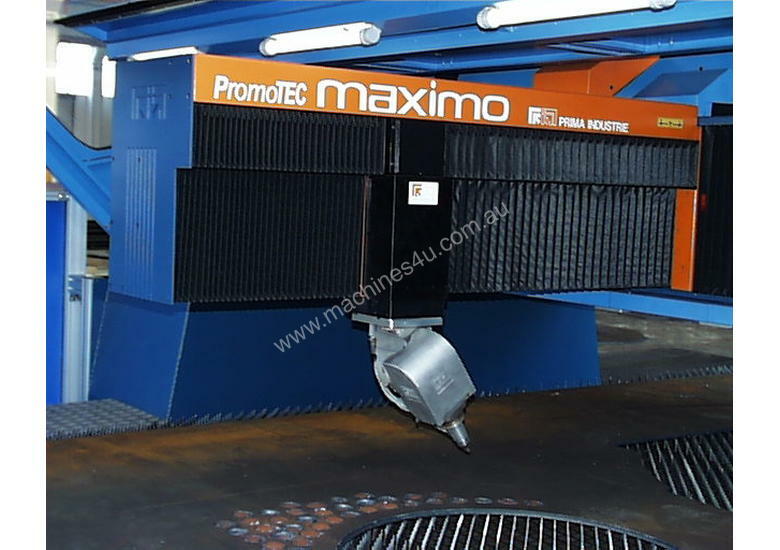 In addition to the movement axes of the MAXIMO machine (the Z-axis for the vertical movement, the X- and Y1-axis for the longitudinal and transversal one), MAXIMO features a further Y2-axis, which allows the machine to move beyond its Y1-axis stroke, as far as the sheet metal to be processed requires. MAXIMO is available in a 3-axis and a 5-axis version. MAXIMO 5 features the Heavy Duty head with focal axis for 2D, 3D and bevel cutting. the off-line 2D CAD/CAM and “nesting” software package for quick, easy and cost-effective programming the fast-piercing unit for ferrous material of higher thicknesses. Available in lengths up to 48 metres. 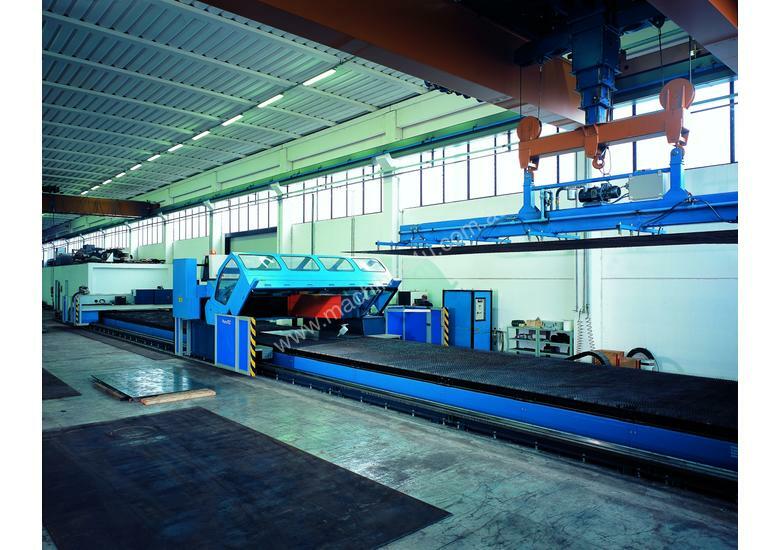 PRIMA INDUSTRIE is a vertical integrator - the machine tool, laser, CNC control, cutting head, and software are designed and manufactured by the PRIMA GROUP exclusively at their Turin Italy manufacturing centre. PRIMA laser systems are only available from IMTS for the Australia/New Zealand market. ENSIS RI includes Amada's innovative Rotary Index. Check out the video!! !